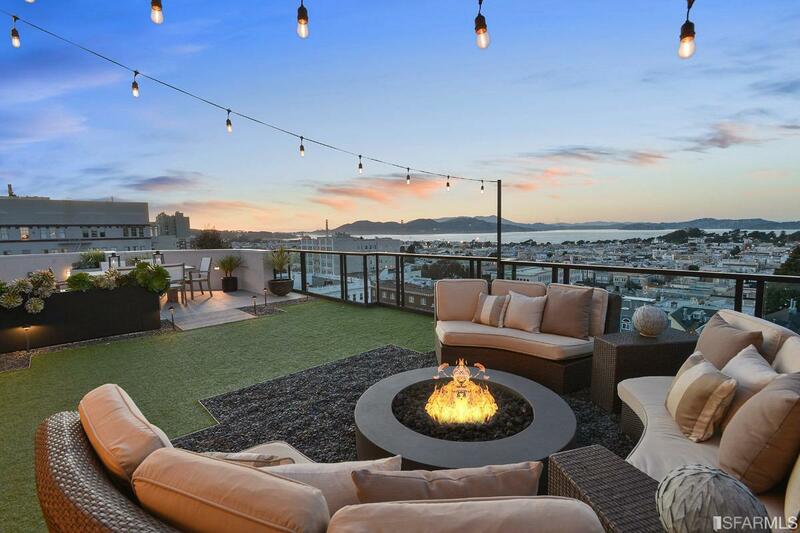 A penthouse apartment is a rare find in any neighborhood of San Francisco. But a penthouse in the prime north end of the City with virtually unobstructed views from the Golden Gate Bridge to Alcatraz and beyond is almost a singular event. 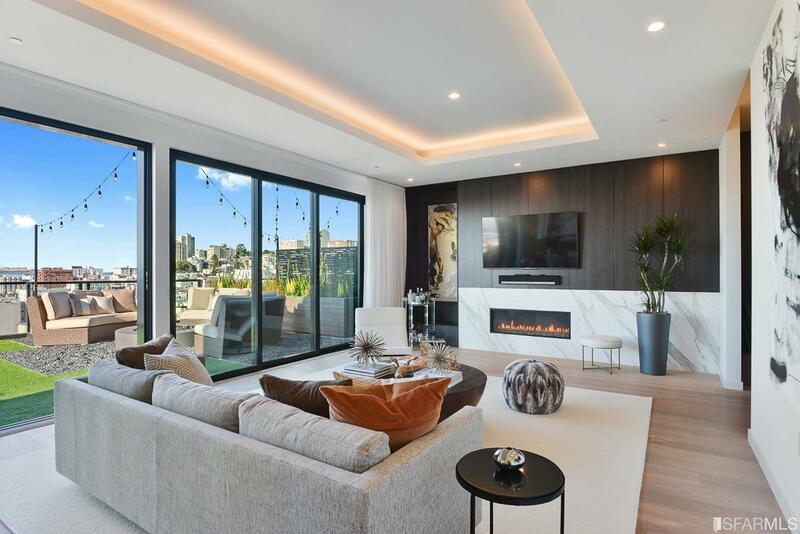 Even more unique is to find this penthouse in a new (2016), Pacific Heights luxury boutique condo building with 33 units. 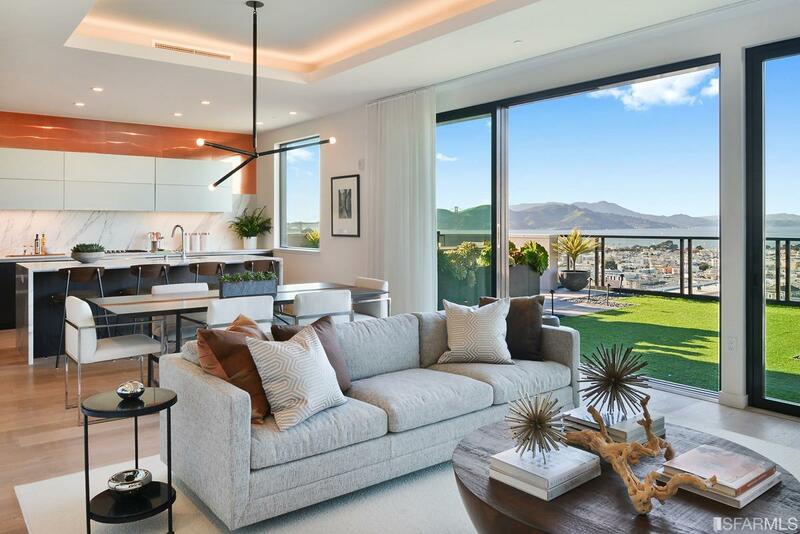 With nearly 2,000 sq ft of interior as well as expansive 2,000 sq ft of private terraces facing both the North and South with direct walkout access, this Penthouse is nearly unmatched in our prime neighborhoods. 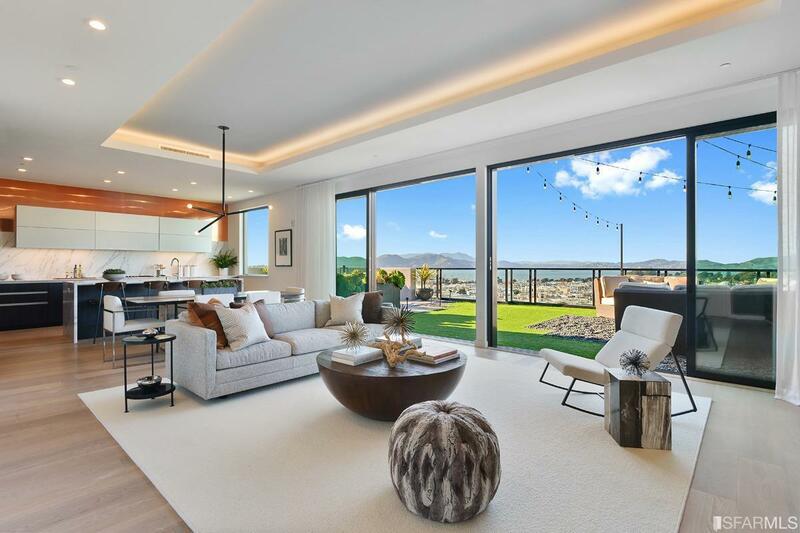 Floor to ceiling glass sliding doors give a sense of an unparalleled experience of indoor/outdoor living and an intimate connection with the Bay and SF's northern landmarks. Three bedrooms & two baths plus powder room make this the perfect residence for entertaining or snuggling up to the outdoor fire-pit and experiencing an amazing sunset. Amenities include 2 parking spots, extra-large storage room & an on-site concierge. Listing provided courtesy of Stephen K Gomez of Gpk Luxury Real Estate.